What is "Prima Princessa Presents Swan Lake"? This 40-minute kid's DVD is a hip, fun, beautiful show with a brain. Prima Princessa, an animated fairy ballerina, magically transports a group of little girls to see the Paris Opera Ballet perform select segments of Swan Lake. In between acts, the children return home to learn simple ballet steps, which are playfully shown mixed into colorful montages of toys, animals, children and young dancers from the School of American Ballet, the official academy of the New York City Ballet. 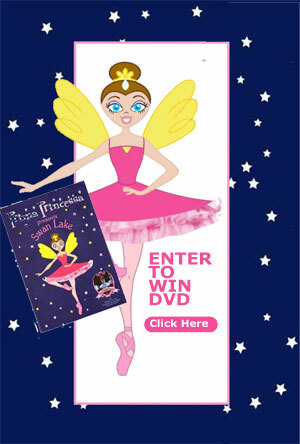 Visit the website www.primaprincessa.com to learn more and see a clip of the DVD.